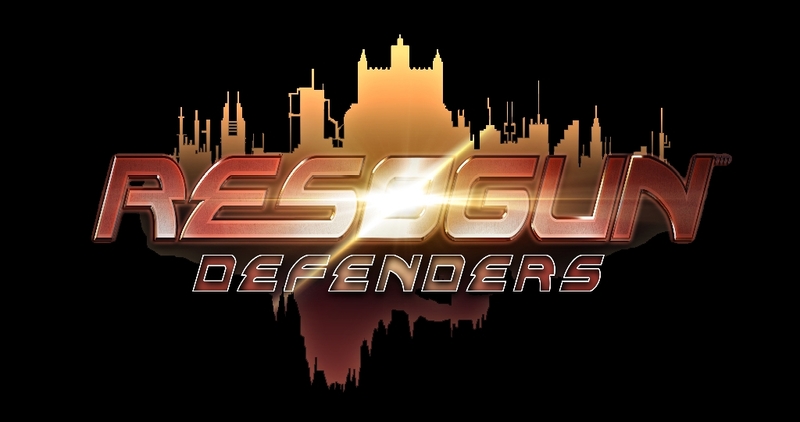 Ian Pickles from XDEV Studio Europe has announced at Playstation Blog, that Resogun Defenders, the second expansion for Resogun, will be available in a little under a week from now on February 17th for $4.99 and is free of charge to all existing season pass owners. The Defenders expansion, will bring a huge amount of new content and will be a fitting send off for Resogun. In preparation for the arrival of Defenders, the latest content update, Resogun Challengers will be made available free of charge to all players. Resogun Defenders takes place during humanity’s last stand against the overwhelming Sentient forces. Pushed back to an unknown planet you will take the fight to the bad guys in two all new game modes. Protector and Commando. Protector Mode sees you taking to the skies to defend one of the last human colonies remaining. Utilize all new power-ups including Super Boost, Teleport, and automatic city defences; take down the enemy and deliver as many of the last humans to each city in order to extend your grip on the planet. Protector Mode features an all new planet flip mechanic and environmental hazards such as volcanic meteors to avoid while fighting off the never-ending enemy invasion. Commando mode lets you play as the Last Human who was left behind. Stranded on a distant planet with only a mini-gun to defend him he takes the fight directly to the Sentients in the ultimate arcade revenge mode. Jump, boost and equip your favorite bandana as you aim to defend your home from waves of enemies, volcanic meteors and more in this all new mode. Challenges change things up and give everyone a reason to revisit all Resogun game modes for a new experience. Performing well will award Challenge Points which will advance your player level higher unlocking rewards and bragging rights. Alongside the Challenges there will also be also Feats. These are long goals that are tracked across all game modes and award Challenge Points for achieving huge milestone goals. Have you rescued a cumulative 1,000 humans or just dodged 13 wrecking balls in Demolition Mode? There’ll be a Feat and reward for that. Only a true Resogun Hero can ever hope to achieve all the Feats but we’re sure you’ll have fun trying. The Resogun Challengers update also contains an all new Human Gallery to organize and select your collected Human types, and the much requested Photo Mode which allows you to pause and capture stunning screenshots of all the voxel based action exploding on screen. We’re looking forward to seeing some of the shots captured by the players. To top it all off, the Challengers Update also contains a bunch of new Trophies for you to earn — designed around the challenges and feats these will test the skills of even the finest Resogun pilots out there. For those that have yet to play Resogun, there has never been a better time. To celebrate the launch of Resogun Defenders there will be a 33% off the retail price of the full game for the next two weeks. Additionally, anyone who purchases the season pass will immediately gain access to our previous expansion, Heroes, and the additional humans available in the store.